A special launch event is taking place today at the 5th avenue Microsoft Store with games and guest appearances from the eSports scene. Attendees will get the chance to play with the smartphone and even pre-order one in person. The vaunted Asus ROG gaming smartphone is finally ready to hit store shelves and Asus is celebrating today with an open launch event at the 5th avenue Microsoft store in New York. Two SKUs will be made available with 128 GB or 512 GB of storage. While the former will retail for $900 USD, the latter will cost an additional $200 USD for a whopping $1100 USD. There appears to be no other differences in specifications between the two options. The October 18 launch event is free and open to the public from 4:30 PM to 9:00 PM EDT. As with most launch events, there will likely be games, prizes, and giveaways for those in attendance. The Asus event comes one week following Razer's own press event on the Razer Phone 2 in San Jose. More information on the ROG smartphone can be found at the official product page here. The Android device is notable for its 6-inch AMOLED HDR touchscreen, 90 Hz refresh rate, 1 ms response time, Snapdragon 845 SoC, and vapor chamber cooler. 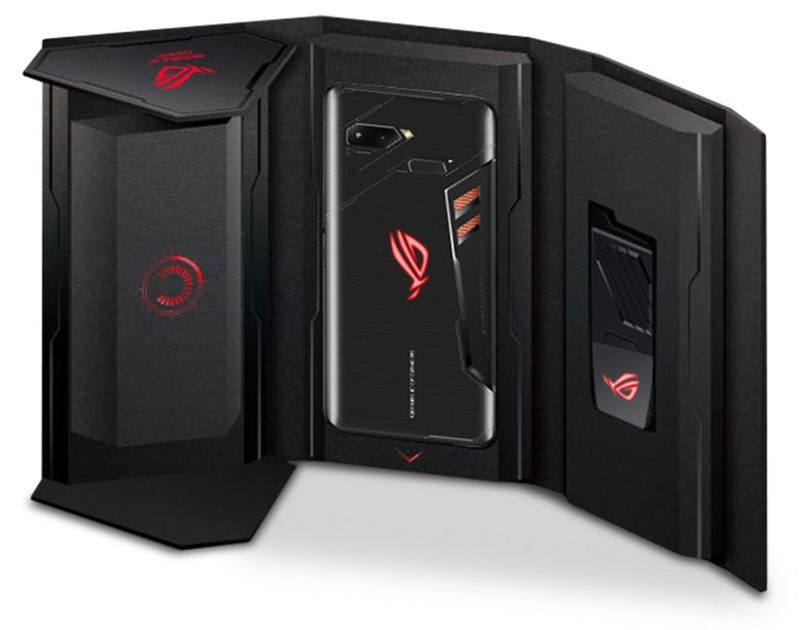 NEW YORK CITY — October 18th, 2018 — ASUS Republic of Gamers (ROG) today launches the ROG Phone, a game-changing 6-inch smartphone designed specifically for high-performance mobile gaming. The ROG Phone is now available for pre-order, as well as at a launch event at the Microsoft Store on Fifth Avenue in New York City from 3 – 9 PM EDT. Attendees will be able to learn all about the new ROG Phone, pre-order one in-store, take part in a unique ROG Phone mobile challenge, and join teams to game with special guests Landon and xChocoBars. In a separate announcement today, NRG announced a new technology collaboration with Qualcomm that includes a significant role for ASUS and the ROG phone. In the announcement NRG announced that the esports team will utilize the ROG Phone exclusively as their performance training devices. Representatives from ASUS, Qualcomm Technologies, Inc., a subsidiary of Qualcomm Incorporated, and NRG will also be onsite at the event. The phone will be available for pre-order online at the ASUS Store, Amazon, and Microsoft, as well as in-store during the launch event, and will be available for the starting price of $899 USD. NRG Esports is one of the globe’s leading esports organizations and participates in some of the most high profile global franchised leagues. Founded by former Vice President of Apple and co-owner of the Sacramento Kings, Andy Miller, NRG is led by a roundtable of expertise in the traditional sports and tech industries, with such investment from the likes of Shaquille O’Neal, Tiesto, Jennifer Lopez and Alex Rodriguez. NRG’s Overwatch League Team, the “San Francisco Shock” is a participate in the industry leading geo-located franchised league. The companies unveiled the collaboration on Thursday with anannouncement video focused on NRG’s “Clash Royale” roster. "The rise of mobile esports over the past few years has been incredible to watch,” said Brett Lautenbach, President of NRG. “With our recent participation in the Clash Royale League now was the time for NRG Esports to find a premiere partner to bring first in class quality to our players. We're thrilled for all of the exciting content and activations we'll be creating with Qualcomm and ASUS ROG." Today, to kick off the fall season of ROG Arena, a weekly Friday tournament where users can interact with friends and teammates at Microsoft Stores all over North America to play popular games on high-powered ROG devices, ASUS will hold an ROG Phone launch event at the Microsoft Flagship Store, in New York City. Past ROG Arena tournaments have featured League of Legends, Overwatch, and Fortnite. The third season will feature Fortnite, dubbed Fortnite Fridays, and will start on October 19th. During the launch and the kickoff party, users will be able to enter and play in a friendly tournament, take part in a unique ROG Phone mobile challenge, and join teams to game with special guests Landonand xChocoBars, in a live broadcast competition. NRG players, HookGangGod and Nairo, will also be onsite, as well as representatives from ASUS and Qualcomm Technologies. The 128GB will be available for $899 USD MSRP at the ASUS Store, Amazon, and Microsoft.